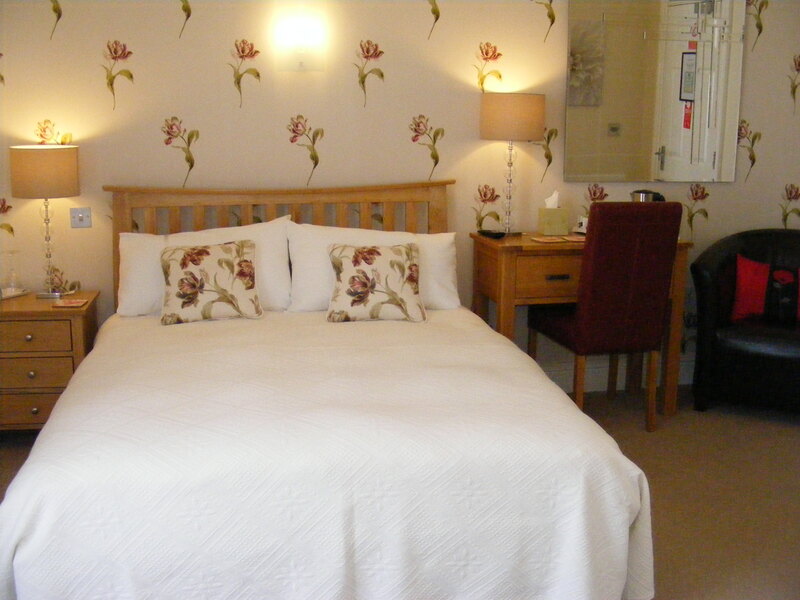 This room has a double bed and a single bed and can be used as a double, twin or family room. It has a dressing table and a wardrobe and a flat screen TV. 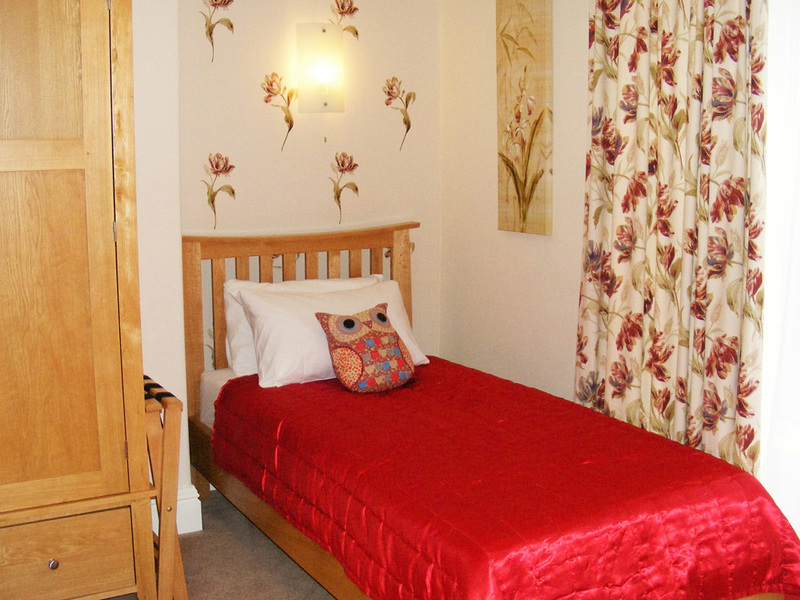 It also has complimentary toiletries and a hospitality tray containing tea, coffee, biscuits and fresh milk. It has a large ensuite with a double walk-in shower.